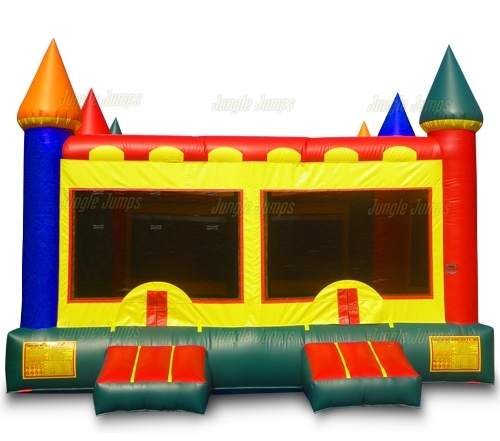 You’ve owned a bounce house rental business for a little while and you think you are ready to add some new units. 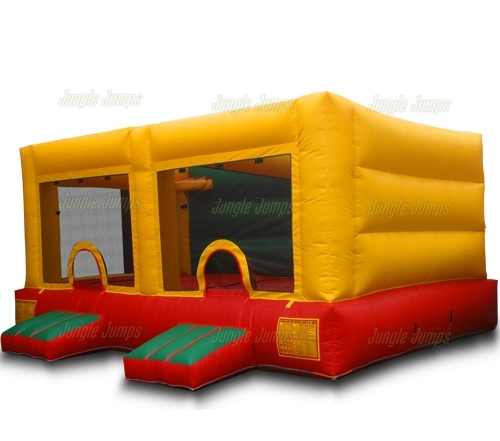 It’s fun to look at all the different units each bounce house manufacturer website has available as the unit seem to change on a yearly basis. You’re scrolling through the pages when suddenly you come upon an inflatable slide. You realize that you’ve been thinking about getting an inflatable slide for a while, but you posit hesitate once you see that the slide is actually on the page promoting and inflatable waterslides sale. It is actually amazing to see how many successful bounce house rental business owners hesitate when it comes to adding an inflatable waterslide to their collection. But why would someone who owns a successful bounce house business be so concerned about adding this type of inflatable unit? 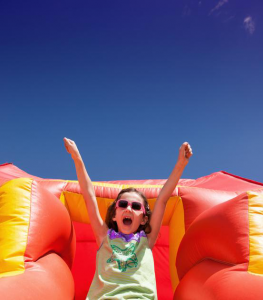 It’s a good question, and the only answer that we seem to be able to come up with is that the business owners are worried that children will be more likely to get injured on a waterslide than they would in the bounce house. The truth is, however, if you know how to safely use an inflatable waterslide it is just as safe as an inflatable bounce house is. 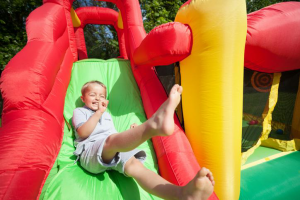 There are number of reasons why it is a good idea to purchase a waterslide when you come upon an inflatable waterslides sale, starting with the fact that you be able to easily and quickly diversify your business. Not only will you be able to offer units that children can jump around in, you will also be able to offer units that children can get wet in as well. There is nothing better on a hot day then being able to climb up on top of a gigantic inflatable unit and to slide down the same unit splashing into crisp, cool water. When it is time for you to expand your business, think about adding an inflatable waterslide. You will find that not only are your clients intrigued by your new option, but also that they are more likely to rent the slide simply because it is something new and different that they have not yet seen. There are many business people who have been able to climb up the ladder of success on their own. If you do a bit of research, however, you will notice that most of the people that have become very successful have had a lot of help along the way. Some of them have help in the form of employees and others have help in the form of partners. A partnership is often a great idea when it comes to the business world because it means you are able to have someone else share the responsibility that you undertake when you start a business. 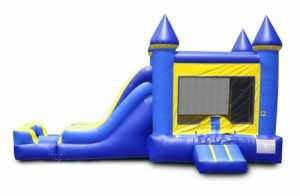 Any business has a huge amount of responsibility, and having a partner to help when it comes to doing things like looking for an affordable double inflatable slide for sale and managing the book works can definitely help. But should you add a partner, and if you do how do you go about it? No successful business owner will tell you that it is a good idea to add a partner to an already thriving business if you do not have much background on that partner. For instance if your business had been running for five years and was fairly successful and someone were to come up to you and were to suggest being added on as a partner, you should probably say no. Unless that person has something significant to offer your business that will truly help to take it to the next level, is almost never a good idea to add a partner to a business that is already considered to be successful. That, however, does not mean that there is never a good reason to add a partner. If you find that you’re having a difficult time handling the responsibilities that come along with your business, or if you find that your business is not being managed the way you think you should be, it may be a good time to add a partner. Adding a partner is not always easy and will definitely require the help of a lawyer, so keep that in mind. Also, it is never a smart idea to add a partner to your business without some sort of financial investment on their part. You may, for example, want to make them purchase the next double inflatable slide for sale as well as some other inflatable items. Make sure that any partner is as invested in the business as you are before you even think about approaching a lawyer.